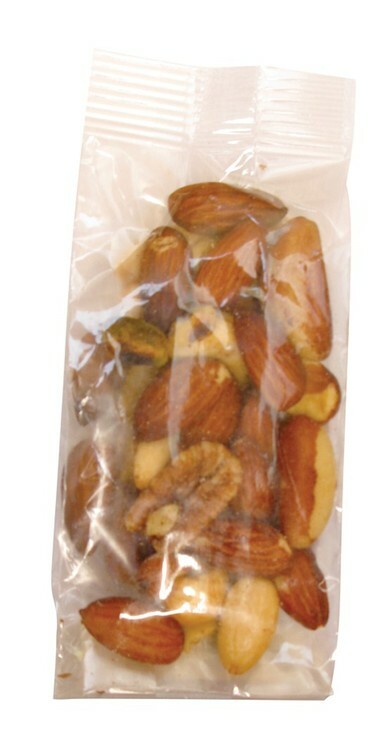 2oz clear cello bag filled with deluxe mixed nuts. 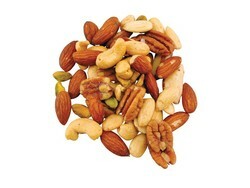 Mix contains almonds, pecans, cashews, pistachios and Brazil nuts. Nuts are lightly salted and always fresh. Heat sealed to ensure quality.